Kevin Hart…he’s quite a character. Whether that’s a character you personally love or a character that you would rather hate…that’s up to you. I find him funny enough…but he’s kind of like a black Melissa McCarthy – he does the same shtick every time. That’s sometimes the downfall of comedians in film – they don’t quite understand that an acting range can be a good thing…it changes things up! 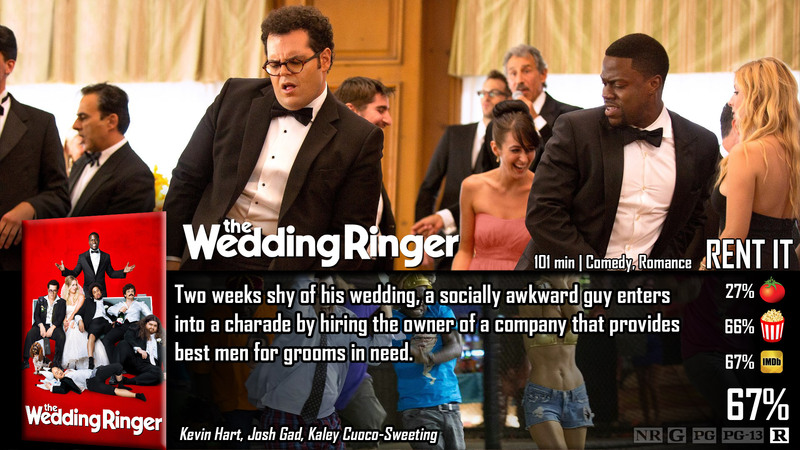 Instead, what you have in The Wedding Ringer is more or less Kevin Hart being Kevin Hart in a movie that is more or less a combination of other like-films. Similar movies that come to mind are Hitch andThe Wedding Singer. The originality goes out the window before the movie even starts, so what does that mean for the rest of it? The Wedding Ringer focuses on Josh Gad’s character, Doug, as he prepares to marry the girl of his dreams. There’s only one problem – he not only needs a best man – but also seven extra groomsmen as well – so he turns to a professional best man to hire. From here, it is Mission: Impossible because pulling something so extravagant off in so little time is what Kevin Hart’s character calls a “golden tux”, which has never been done before. Can they pull it off? Only time will tell…or spoilers if you enjoy those. This movie is so ridiculously predictable that I could throw up. That predictability comes from countless romantic comedies and similar-plotted films before this one. There was no originality, just rehashed things you’ve probably already seen before – unless you’ve been hiding under a rock your whole life. Predictability, however, doesn’t necessarily have to mean a bad thing. What’s more important for a film like this to achieve – is a good segway to get from Point A to Point B. We can guess how it’ll end, but how it gets to that part is just as important sometimes – and that includes this film. What I can tell you is that I like the concept and I like the characters. It’s somewhat believable and unbelievable at the same time, but that’s okay. All of the nine main guys work really well together to pull off this “heist” of sorts – and for such a large cast, they were able to maintain a good level of diversity throughout each character – and that’s not always an easy task. Kevin Hart may be the same, and maybe even Josh Gad, but when they blend with everyone else…it kind of works. Unfortunately though, too much of the actual comedy falls flat. It’s true – I did giggle here and there while watching this film – but other than that, it was a quiet experience for me. I never laughed out loud, and primarily held a straight face through-and-through. I don’t think the movie itself is bad, but the execution for a partially promising feature was poor…if I’m being honest. 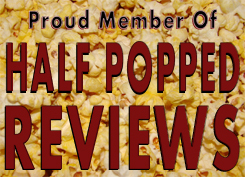 As a movie goer, I wanted more from the movie and received less, and that’s always something you want to avoid as a filmmaker – so all in all…this movie failed. I didn’t hate it, I was just a little disappointed in it. There’s nothing wrong with the concept for this film. It’s a little bizarre, but that sometimes works for it really well. The characters work together rather well, and all-in-all, I find this movie to be watchable. Unfortunately, watchable isn’t the best way to describe a movie. You want something captivating – whether that means exciting, funny, emotional, thrilling…whatever. This movie was only watchable, because the rest of it was predictable and unoriginal. In algebra, predictable and unoriginal equal “not funny”. Next Next post: Intoducing ‘Dave Examines TV’!